Good morning! 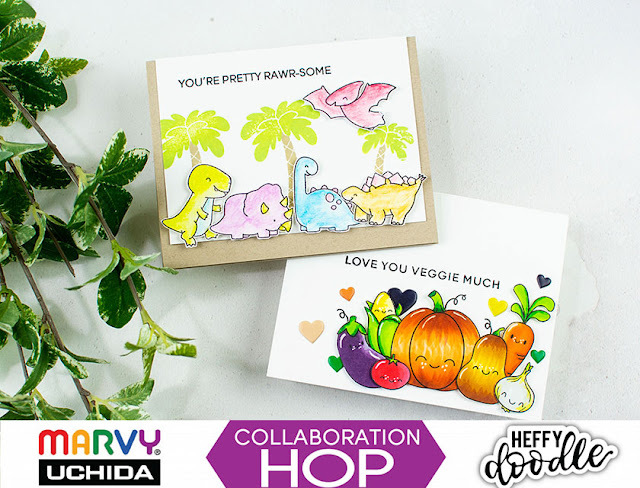 Popping in this morning with a couple cards I made for a special hop over on INSTAGRAM as a collaboration between Heffy Doodle Stamps and Marvy Uchida! All the giveaway info and such is posted on Instagram - but I'm adding a post here with some extra details and info on my cards here as well! 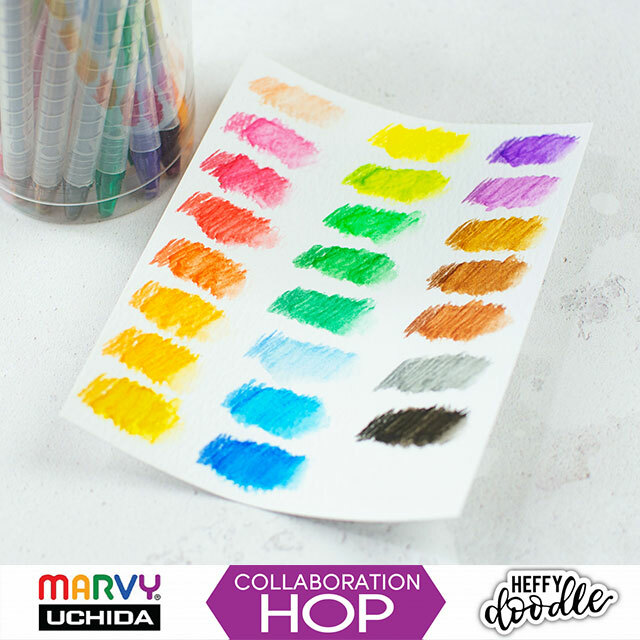 I got two different sets from Marvy to combine with my Heffy Doodle stamps - first up, the set of 30 Le Plume Alcohol Markers. 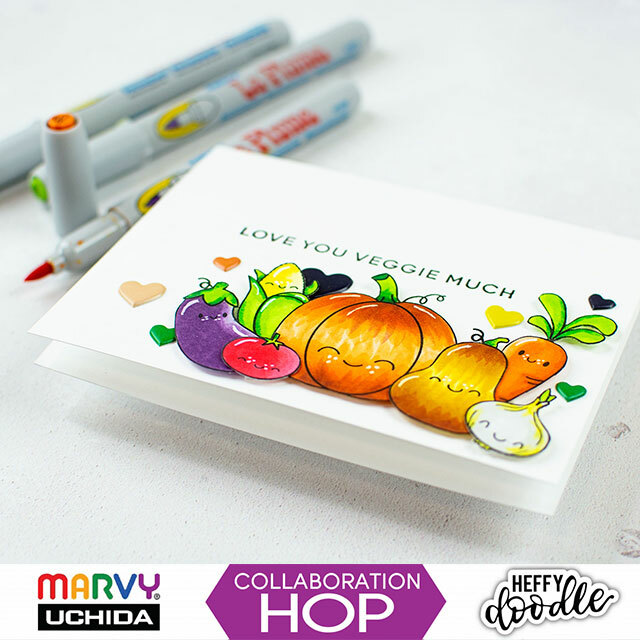 I used them to color my fun veggies using Veggie Patch Stamp Set for these! 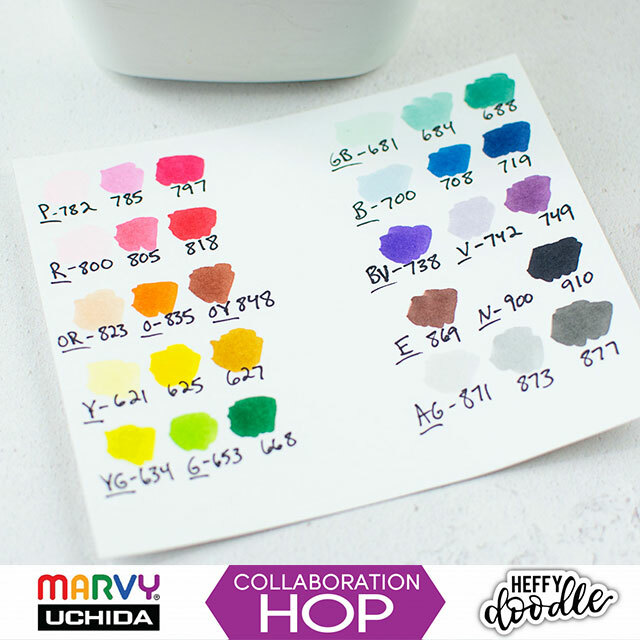 I thought they were super fun colors! 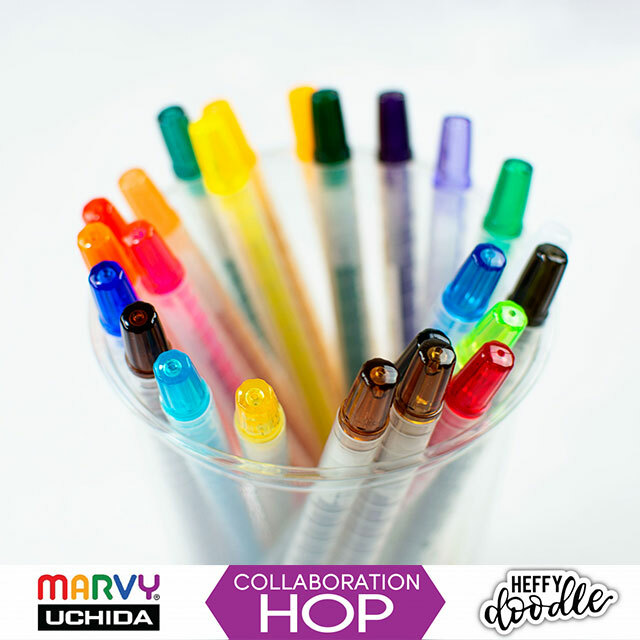 I liked that the colors were shown on the top of the markers, and the tips were a nice soft brush tip that was fun for coloring. 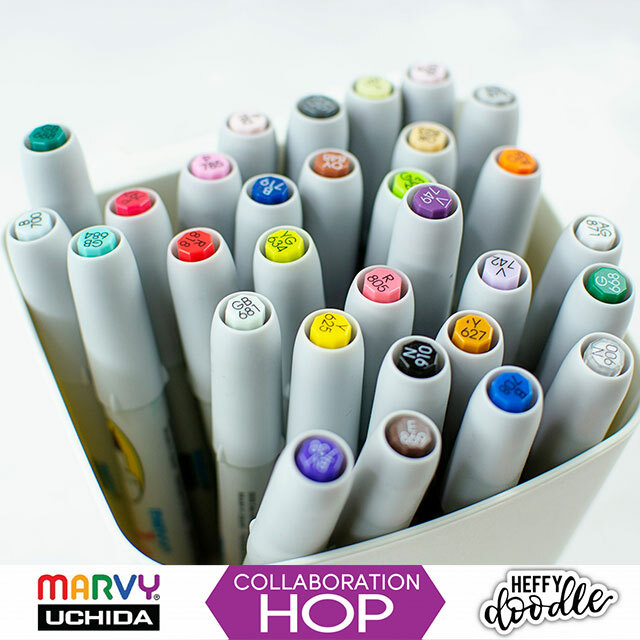 These also have the colors on the end caps which makes them easy to grab as you are coloring. I put all my colored images onto these simple cards - fun and easy! 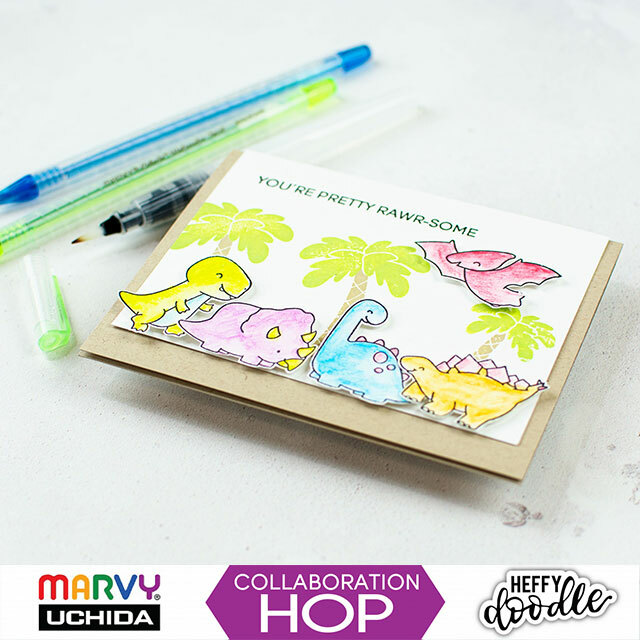 Also - don't forget the free ADORABLE Dinky Dinos set, free with orders over £30 - and with orders over £45 you receive the dies for free as well! 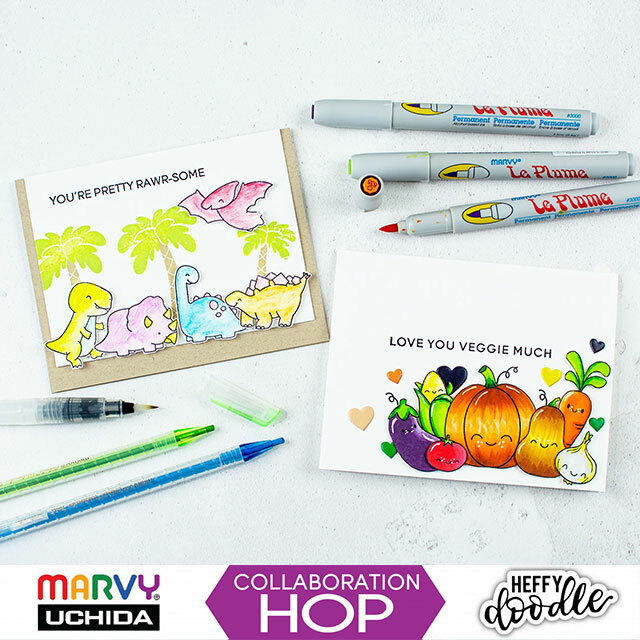 AND - coupon code 58YbSx3L will get you 15% off your purchase in the Heffy Doodle Store (Coupon expires October 28th. 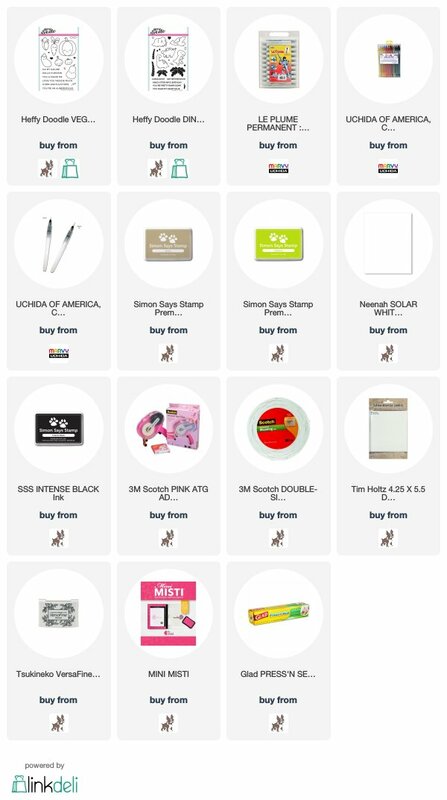 Only valid on Heffy Doodle products - not valid for vouchers or items in the Craft Essentials category).